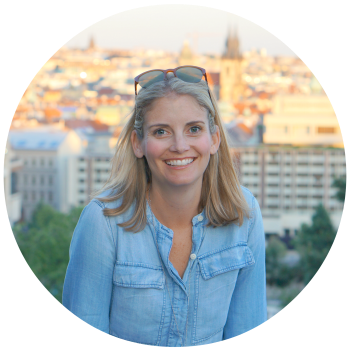 Are your weeknights as hectic as mine? 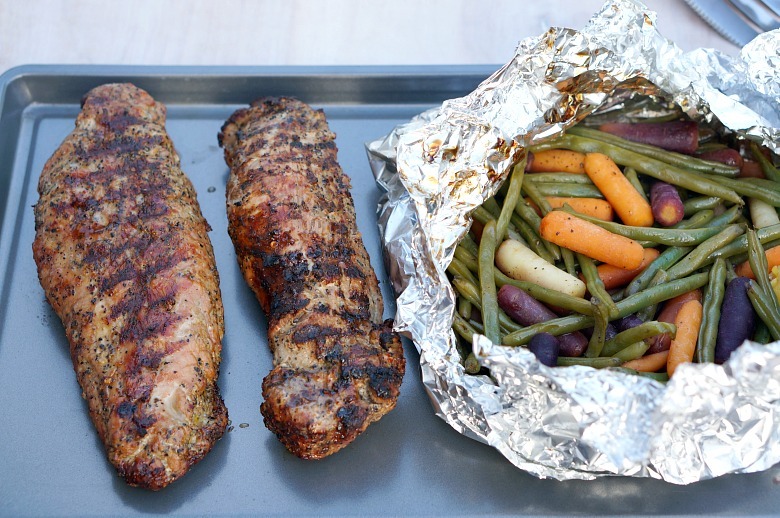 This four-ingredient Grilled Pork Tenderloin and Foil Packet Veggies dinner comes together in less than 30 minutes. Bonus for easy little clean-up! The perfect solution for busy back-to-school evenings! I simply love grilling out in when the weather is nice. I get to watch the kids play outside and get a nice dose of vitamin D while I cook, a nice change of pace during the hectic back-to-school season. Aren’t these veggies just gorgeous? 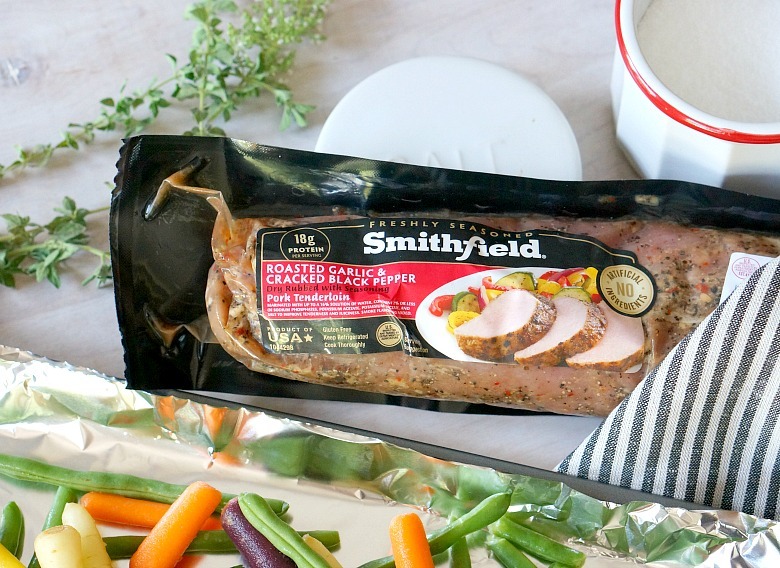 We grill pork tenderloin a lot, it’s a favorite of the whole family, and I especially love using Smithfield Marinated Fresh Pork. 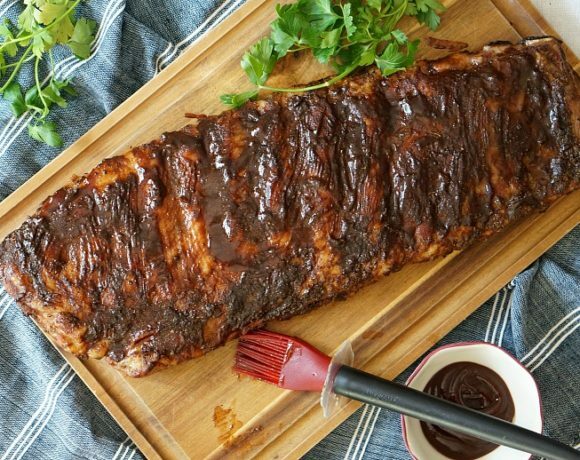 Available in a variety of marinades, using Smithfield® makes it easy to get dinner on the table without a lot of hassle. And, because so much flavor is packed into the meat, you don’t need a lot of extra ingredients or a lot of time to round out your meal. Set the timer! Dinner will be ready in less than 30 minutes! Preheat your grill on high. Once hot, clean the grates with a grill brush. Place two large pieces of heavy duty aluminum foil on a baking sheet to create a plus sign. 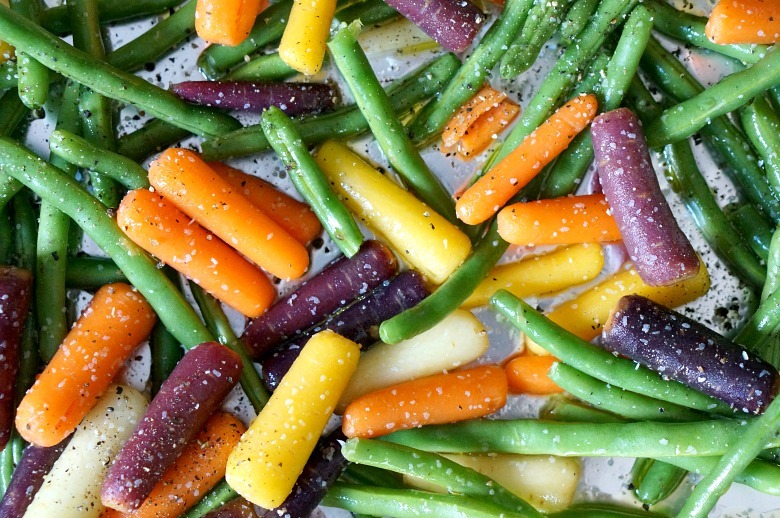 Arrange the carrots and green beans in the center, and toss with olive oil, salt and pepper. Drizzle with the balsamic glaze. 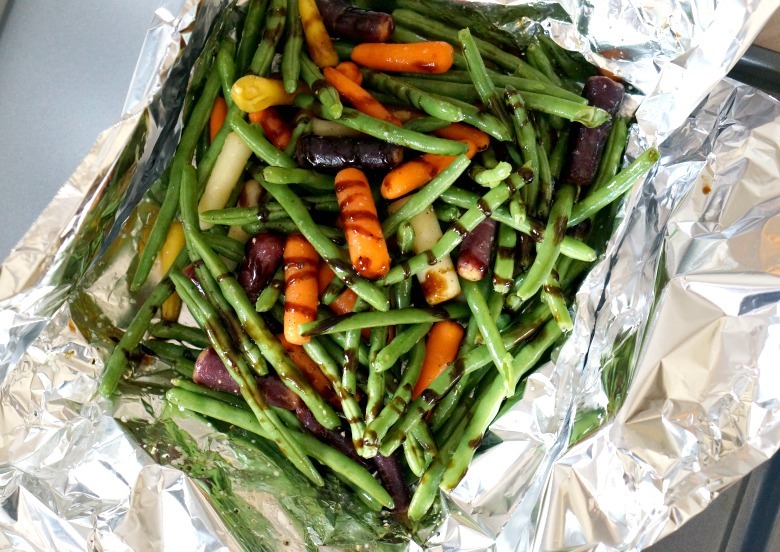 Fold up the sides of the foil to create a sealed packet and place on one side of the grill. 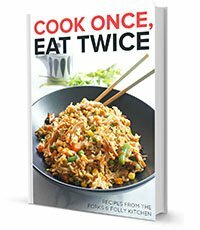 Cook for 20-25 minutes, or until tender. Spray the other side of the grill with cooking spray and cook the pork tenderloin. Cook for about 15 minutes, flipping half way through. You want the meat to reach an internal temperature of 145 degrees Fahrenheit. Once cooked, place pork and veggie packet on a baking sheet. Carefully open the foil packet to allow the steam to escape; it will be hot! Allow the meat to rest at least 5 minutes prior to serving. Ding! Ding! Dinner is served! Place two large pieces of heavy duty aluminum foil on a baking sheet to create a plus sign. Place carrots and green beans in the center, and toss with olive oil, salt and pepper. Drizzle with the balsamic glaze. 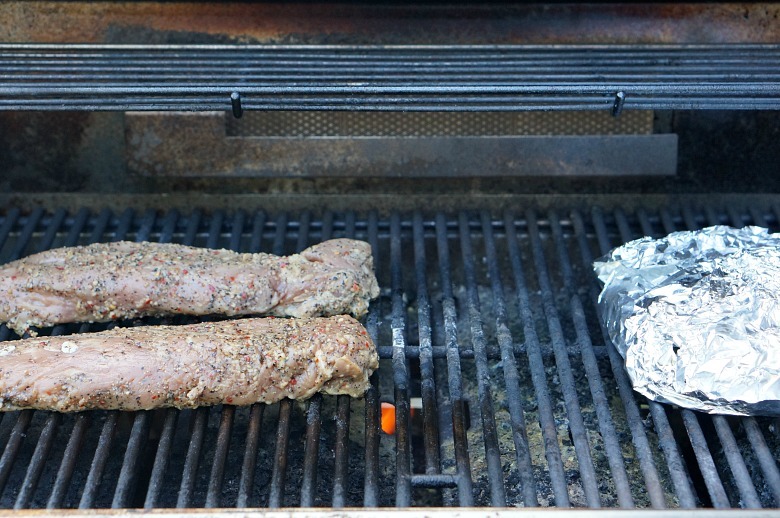 Fold up the sides of the foil to create a sealed packet and place on one side of the grill. Cook for 20-25 minutes, or until tender. Ding! Ding! Ding! Dinner is ready! Talk about real flavor, real fast! 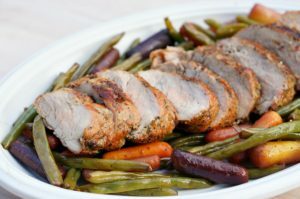 All of the ingredients for this recipe, including the Smithfield Marinated Fresh Pork, are available at Kroger. 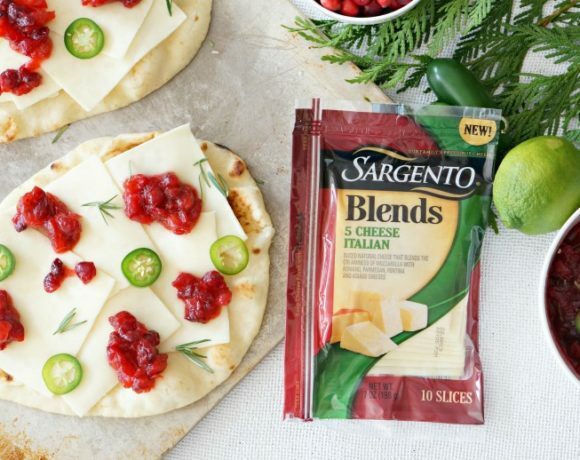 Be sure to use these coupons to save $1 on one Smithfield product at your local Kroger location: Kroger, Dillons, Food4Less, Fred Meyer, Frys, King Soopers, QFC! Want a few side dish ideas for the busy back-to-school season? Try our favorite Carrot Fries recipe or these Crispy Sheet Pan Hashbrowns!